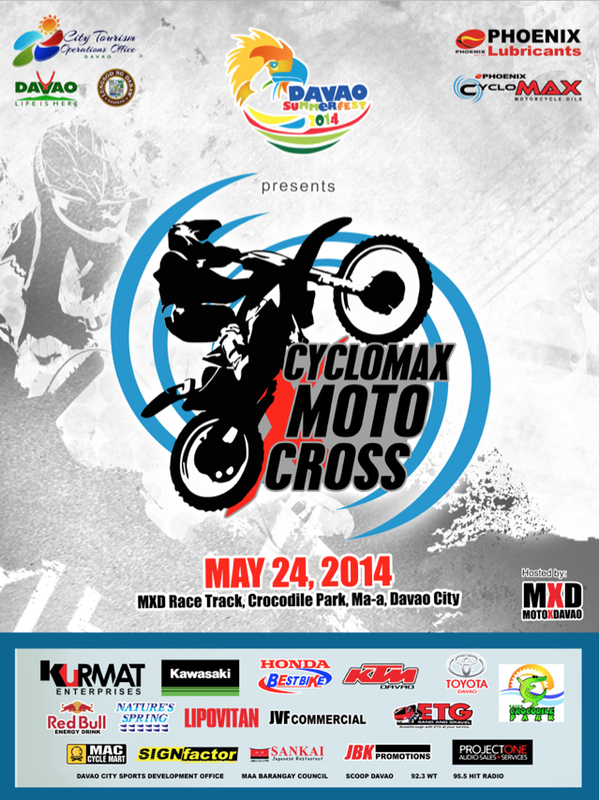 Phoenix Petroleum Philippines partners with MotoX Davao to present the Phoenix Cyclomax Motocross at the MotoX Davao race track inside the Davao Crocodile Park in Maa on May 24, 2014. Motorcycle riders from Davao, Tagum, Digos, Agusan, Bukidnon, Midsayap, Kabacan, Cotabato, Monkayo, and Ozamis will join the race. Race categories are PeeWee 50, PeeWee 65, Super Mini, Pantra, Enduro Open, Novice Production Open, Intermediate Production Open, Executive, Expert Production Open, KLX150 Beginner and KLX150 Novice. Phoenix Cyclomax Motocross is part of the Davao City Summer Sports for Peace Festival activities, a month-long activity starting from April 25 to May 31. The festival is geared to promote Davao City as a sports destination and to showcase Davao’s premier talents in terms of culture, arts, music and sports. Phoenix Petroleum Philippines is the leading independent oil company with an expanding network of operations nationwide. It is engaged in the business of trading refined petroleum products and lubricants, operation of oil depots and storage facilities, shipping/logistics and allied services.